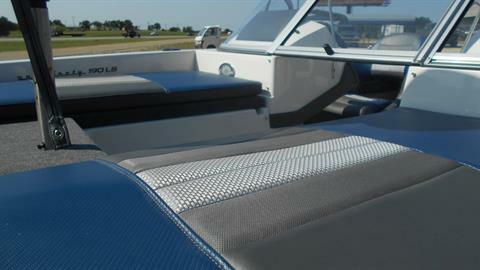 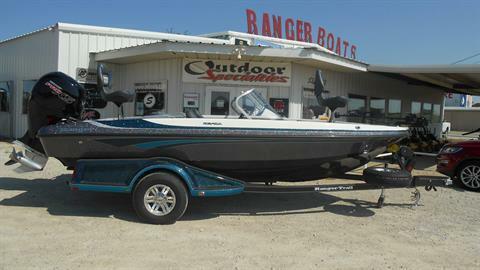 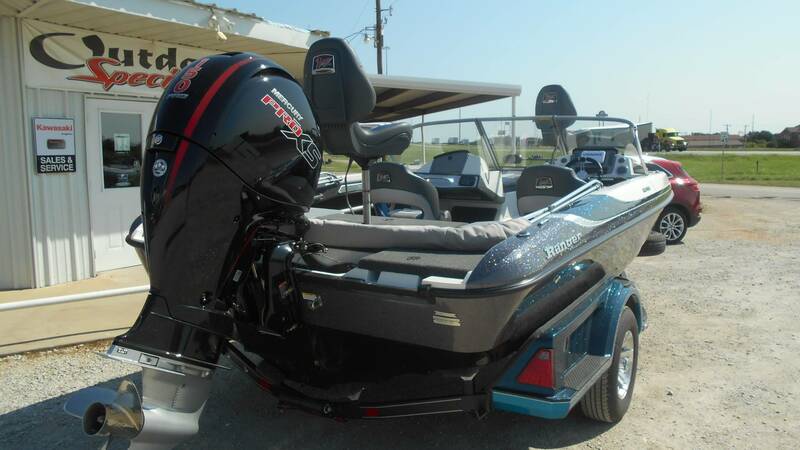 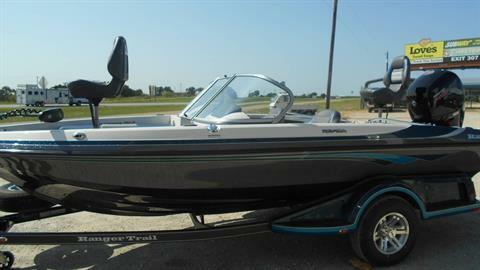 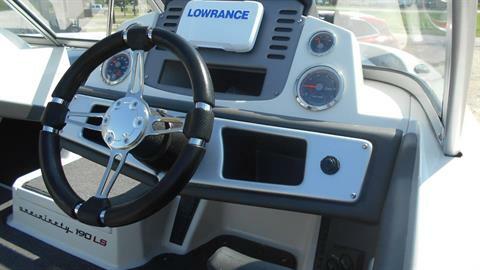 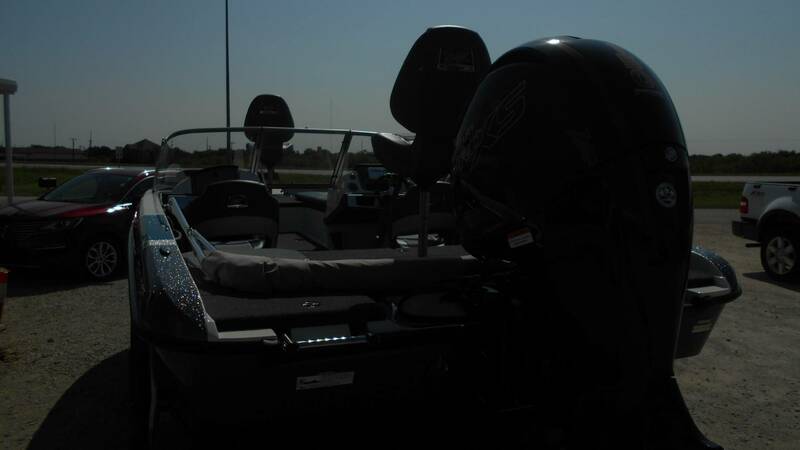 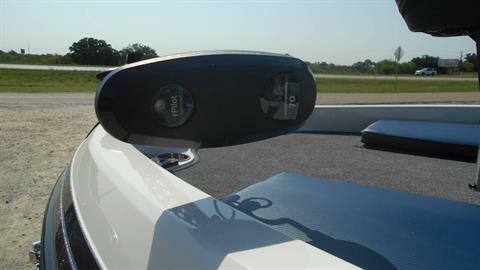 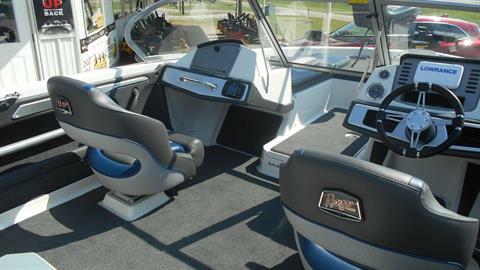 The Ranger® 190LS maximizes fun on the water with economical style, performance and clever amenities. 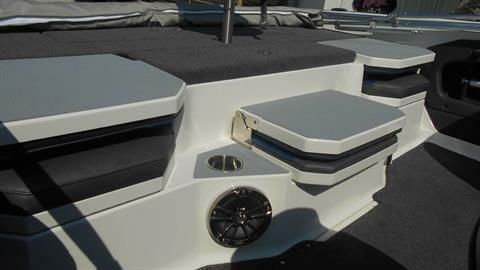 The wide-open interior features abundant storage and creature comforts, from a Bluetooth®-ready marine stereo system, USB charging ports, a flip-down seat/cooler, and a premium walk-thru windshield. Snap-in cockpit carpet tailors the interior to any activity while legendary Ranger construction delivers superb handling, safety and peace of mind. Plush seating and a stainless steel boarding ladder, trim and hardware deliver classy refinement while a Minn Kota® trolling motor, Lowrance® electronics and an aerated livewell make the 190LS a formidable fishing machine. 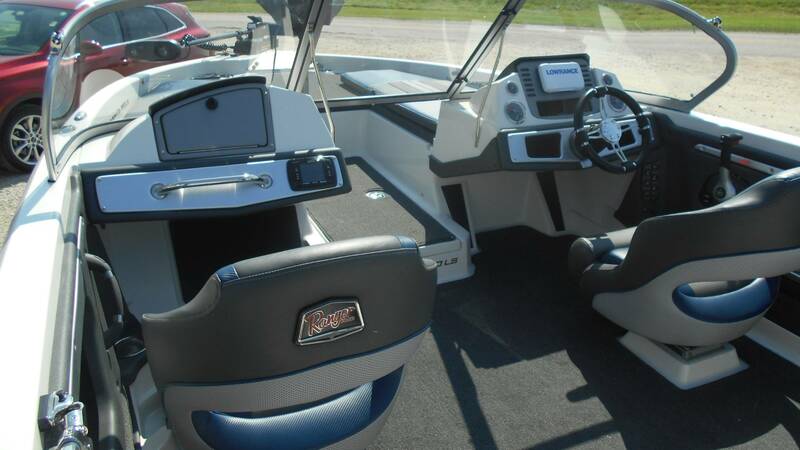 From the in-gunnel storage and flip-down jump seats to the rod/ski box and folding deck extension, the 190LS is fully loaded for fishing or fun.